for chances to win free Lucky Mojo supplies! Giveaways will happen on August 5, 12, 19, & 26. 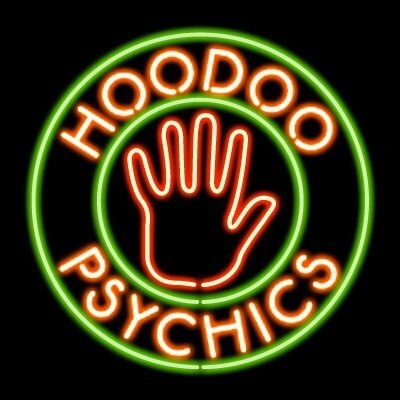 Our Compelling line of hoodoo products is designed to compel another to do your bidding, especially if they owe you money, a favour, or broke a promise. Calamus Root Chips are used to grant the bearer control over a person or situation. August's Homework Party is Friday the 12th. In Which Heidi and the Bosses Break on Through to the Other Side and Colonize the Valley of Big Data!! Those who know and love Lucky Mojo are well aware that every year around this time we have a Big Problem. Our shop is small, and every oil, sachet, bath crystal, incense powder, and Rootworker's Special we make is blended by hand. There NO FACTORY. (Yes, even after 25 years and plenty of reminders, we still have customers asking to "see the factory.") We make everything in small batches at an old-fashioned stand-up lab. When the weather is good, we work outdoors at paper-covered picnic tables, under a big Redwood tree. Sounds great. So what's the Big Problem? Well, the Big Problem is that every year the whole shop comes to a screeching halt for several weeks while we prepare for and stage the Spring Apprenticeship (a free program for graduates of the Hoodoo Rootwork Correspondence Course), which is followed immediately by the Hoodoo Heritage Festival, a yearly gathering open to the public where you can learn how to do rootwork from the best conjure practitioners in the country. When the Festival is over, we are always -- year after year -- at least six weeks behind in making products and filling orders. Then the frustrated customer calls begin. "Where is my oil?" "When will you ship my fixed candles?" "Can i get a rush on my order of powders?" We do our best, but there are orders everywhere, all over the shop, and we are running from order to order, blending ingredients, praying over the mixtures, printing labels, packing the boxes. By dint of heroic effort, we generally get caught up completely by September 1st. This year, our shop manager Heidi Simpson, aided by my husband nagasiva and i, have made the agony temporarily worse because we are implementing an entirely new, database-driven approach to stocking the shelves. The database has been around since 1993, and we have access to all orders dating back to 1998, but although Leslie Lowell, the office manager, and Eileen Edler, the shipping manager, could "speak Database" with nagasiva (and Leslie in particular really got into refining data for tracking our purchases of raw materials), the "system," such as it was, was daunting, complex, and somewhat unfamiliar to the average shop employee. This year, starting in January, we decided to change all of that. We began holding training sessions and daily "check-ins" to make use of the Big Data that we have access to -- data such as how popular each product is (which tells us how many to make six months in advance, rather than waiting for a "squeaky wheel" customer to phone and threaten to cancel an order because we don't have it on hand today), when to order raw materials and supplies, and where each order is -- in the office, in the lab, in the shipping department, or already shipped. I want to give major, large, grateful respect to Heidi. She started down this road with us -- the road marked "To The Big Scary Woods of Data" with a bit of trepidation, but by May First she was totally familiar with, and able to train others in, the new system of production reports that now allows us to keep track of who made what, and when. By June, we had climbed that mountain and were standing on top of The Vertiginous Pile of Production Data from the perspective of assigning tasks and tracking products. Then came phase two -- finally entering into The Friendly Valley of Big Data from the perspective of customer fulfillment. We didn't even know, when we started, what we wanted to do or what would be possible. With nagasiva as our self-taught guide, we spent two months holding daily, sometimes painfully long check-ins with Heidi by phone and in person, as we tested methods, trained employees, and refined our understanding of how the new system would work. The payoff came when we saw that we could teach our new methods to our weekend managers, Eileen and Alicia. They got it! Today, August First, 2016, we have made The Big Change. We have committed ourselves to a permanent form of order tracking, and we are only four weeks behind on large and split-shipment orders (small orders are shipping very quickly). We are able to locate every one of the 225 waiting orders backed up "on the floor" and we can assign folks to make exactly the right amount of each product (still all by hand, still NO FACTORY!) to get the most orders shipped per day, consistently. Big Data, we love you! FileMaker Pro, we embrace you. Watch us now -- nothing can stop our tiny little wheels of industry! Hi, everyone! I hope we're all enjoying the month of July, whether it's summer or winter wherever we're at. I know I am; I received the wonderful news that I graduated Miss cat's course two weeks ago after returning from 11 days in New Orleans. If you haven't signed up for her course go do it now, and if you have signed up then make sure to turn in all of your homework. It's a wonderfully informative course that is guaranteed to enhance your knowledge and practice of conjure. And once you finish you will be qualified to attend Apprenticeship weeks! Maybe I'll even see you there. Going to New Orleans for the first time was a very special event for me. It has such a unique culture, blended from African, Native, and European influences. Its legacies are as original as they are incontestable. America's first pharmacy originated in New Orleans. It's the home of gumbo and jazz, Louis Armstrong and Marie Laveau, St. John's Eve and Mardi Gras. I think it is important to familiarize ourselves with various aspects of the culture and communities which the tradition comes from. And when the heritage is as festive and enduring as that of New Orleans, engaging it becomes not only pleasurable but downright amazing. Besides eating the delicious food, one of my favourite ways to soak in the spirit of the Crescent City was by listening to the music. Everywhere you went you could hear the rhythm and the heartbeat of New Orleans. It works its magic on you. 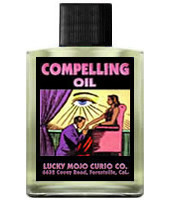 Do you know the perfect way to amplify your study of hoodoo? Listen to some ol' Southern Blues while you work. Miss cat's Hoodoo in Theory and Practice, an online book published on the Lucky Mojo website, has an extensive section dedicated to cataloging blues songs documenting conjure, which you can check out here. Read about how blues music encodes some of the history and practice of hoodoo, discover some of the major rootwork themes which blues explored, read up on old blues lyrics, or even contribute some lyrics to the archive. We've even got the perfect CD to get you started -- Cat Yronwode's Hoodoo Jukebox. This two-disc gem contains 26 songs spanning 78 minutes of vintage Hoodoo Blues music of the 1920s and 1930s, as well as the Lucky Mojo Conjure Toolbox, which features art by a stellar group of contributors in the worm of 21 Hoodoo Candle Labels, 21 Matching Hoodoo Petition Papers, 12 Astrological Petition Papers, 9 Ready-to-Use Petition Papers, 7 Selected Seals of Moses, 7 Selected Seals of Solomon, 6 Tarot Card Candle Labels, and 6 Matching Tarot Card Petition Papers. Put one disc in your CD player and the other into your computer for print-out and you'll be well on your way to making your mojos in style! If you are practicing hoodoo but haven't tried listening to ol' style hoodoo blues, you're missing something important. This CD will have your toes tapping and your mouth smiling with its classic conjure songs. Don't forget, African American conjure is a culture, not just a magical practice, and connecting with this music is a great way to honour, observe, and understand the communities, circumstances, and people that brought it to life. Plus, it's just some damn good music. Win - win, no? 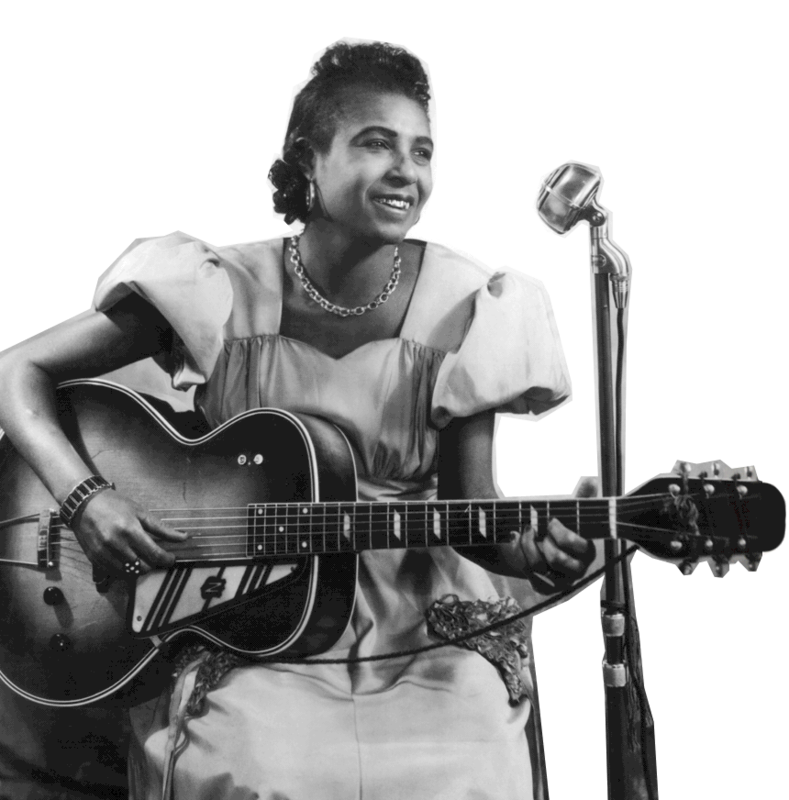 Memphis Minnie singing "Hoodoo Lady"
A new LMC Radio show airs this month with hosts Elvyra Curcuruto-Love and Phoenix LeFae. Get ready, witchy radio fans. We've got a special treat coming out and you'll want to hear all about it! A new show will be premiering on the LMC Radio Network called, "The Witch, The Priestess, & The Cauldron." Every Friday at 6 pm Pacific Time, beginning August 12, Phoenix LeFae and Elvyra Curcuruto-Love will guide you through an hour long adventure with magical materials and modern mysticism, exploring Goddess worship, rituals, Pagan magic spells, and more. While their voices may be new to you, their faces probably aren't. Both are brilliant witches and rootworkers who have been a part of the Lucky Mojo community for years. Both are graduates of Miss cat's Hoodoo Rootwork Correspondence Course, are proud members of AIRR, have presented workshops and taught classes at the Hoodoo Heritage Festival, have had their work published in books, and provide excellent psychic readings to those in need of guidance. astrology, numerology, conjure doctoring and spell casting, qabala, geomancy, feng shui, bone reading, hypnotherapy, creative visualization, Reichian breathwork, Reiki energy work, Amanae bodywork, and Hawaiian navigational energy work, and has a PhD in Cross-Cultural Theology. She was one of the designers of the Red Brick Labyrinth at Lucky Mojo, and she is available for private readings on site and by telephone. Phoenix LeFae first picked up a deck of tarot cards when she was fifteen years old and this began over two decades of study about magic and world religions. She is a gifted intuitive reader, able to see much more of what is going on than what the cards alone may reveal. A former Candle Deacon and Reader at Missionary Independent Spiritual Church, she is now the co-proprietor of Milk and Honey, a Pagan-centric and hoodoo-friendly shop in Sebastopol, California. Phoenix is the author of Hoodoo Shrines and Altars, and she offers services such as setting lights and candle spells, doll-babies, clearing crossed conditions, spiritual bathing and cleansing of home and person, mojo bags, altar work, prayer, healing, ancestor intercession, and magical coaching. So tune in every Friday starting August 12 for sixty minutes of witchy wisdom on Goddess worship, spell-casting, and more. Can't wait till then? 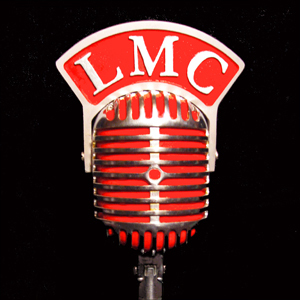 Why not check out some of the other wonderful shows being aired on the LMC Radio Network? Each day has a wonderful program being broadcast, and you can always look through the archives to catch up on episodes you've missed. For a complete listing of all the shows and their respective times, peruse the column on the left or visit the LMC Radio Network website for more information. The upcoming Apprenticeship Week previously planned for August is now scheduled for September 19-23. The Lucky Mojo Apprenticeship curriculum consists of nine lecture classes of 3 - 4 hours each, and nine hands-on training sessions of 3 - 5 hours each. These sessions are organized into three one-week blocks, referred to as Week One, Week Two, and Week Three. 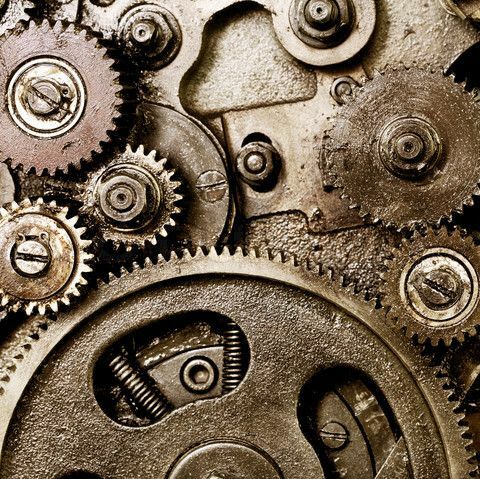 Apprentices need not take the three weeks of sessions in order, although that is recommended. The upcoming Apprenticeship Week will cover the material for Week One. As always, the Apprenticeship Week is free to graduates of Miss cat's Hoodoo Rootwork Correspondence Course and those who would like to attend should have turned in all of their homework by September's Homework Party on the 9th. 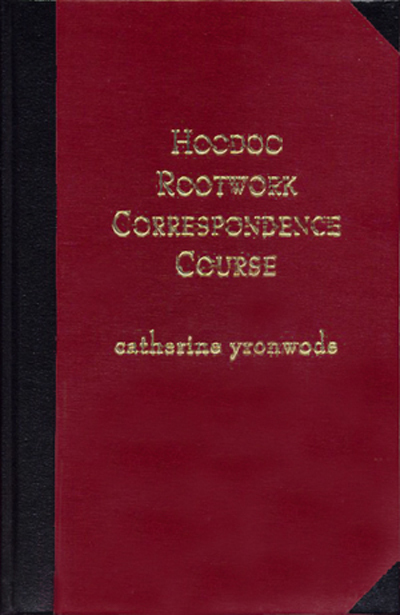 From 2003 through 2016, out of 2,000 enrolled Hoodoo Rootwork Correspondence Course students, about 500 have turned in their homework and graduated -- and are eligible for free Apprenticeship training. From 2005 through 2016, about 60 Graduates have gone on to complete the three-week hands-on Apprenticeship Training. The Apprenticeship Curriculum is tight and intensive. It runs from 9:00 AM to 5:00 PM, during shop hours, with 1/2 hour allowed for lunch each day except Wednesday, which has a 45-minute lunch break called the Apprenticeship Lunch, an obligatory event at which Apprentices meet and mingle with Lucky Mojo staff. There is also an obligatory Apprenticeship Dinner during the week, catered by Heidi Simpson. Please remember that no "drop in" Apprentices will be accepted for training. Attendees must sign-up in advance with the Lucky Mojo shop manager in order to attend. Contact Heidi Simpson at 707-887-1521 Sunday through Thursday 10am to 4pm or email her at heidi@luckymojo.com. 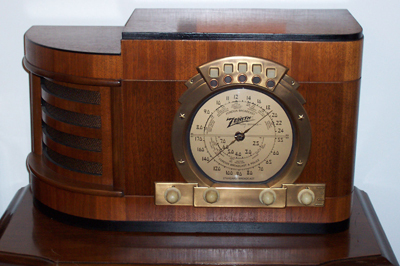 * August 7: Miss Elvyra on her new radio show! * August 14: Professor Porterfield on his selected topic! Stay out of the sun, eat more watermelon to hydrate yourself, and don't forget to use your monthly discount coupons!